You can unsubscribe from noisy posts by clicking the down chevron icon beside the post and selecting ‘unsubscribe’, or you can mute them altogether in the notifications tab on your right sidebar. Muting notifications give you an hour of peace before all hell breaks loose again! 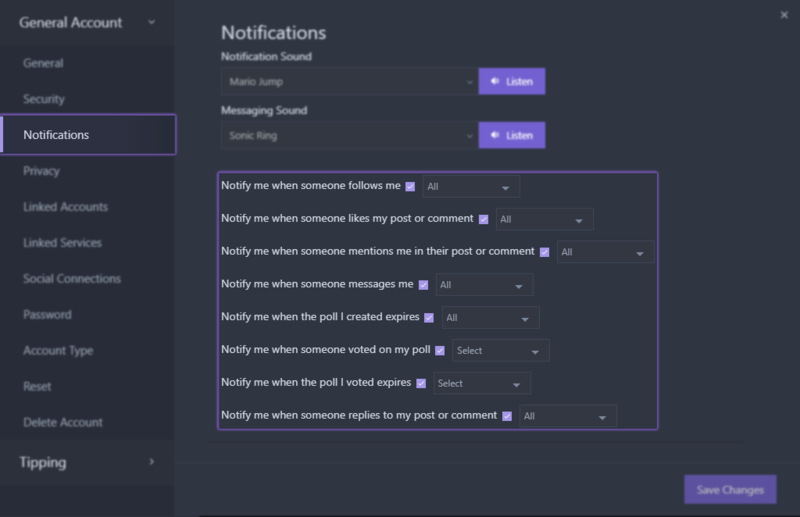 Also, if you want more control over how your notifications behave on Player, you can adjust them in the Notifications tab in Settings.